Ships today if you order in the next 1 hours 1 minutes. Coenzyme Q-10 is required by the body for proper organ function and chemical reactions in the body. People take it for coenzyme Q-10 deficiency, mitochondrial disorders, age-related vision loss, congestive heart failure, HIV/AIDS, high blood pressure, blood vessel complications, migraines and more. 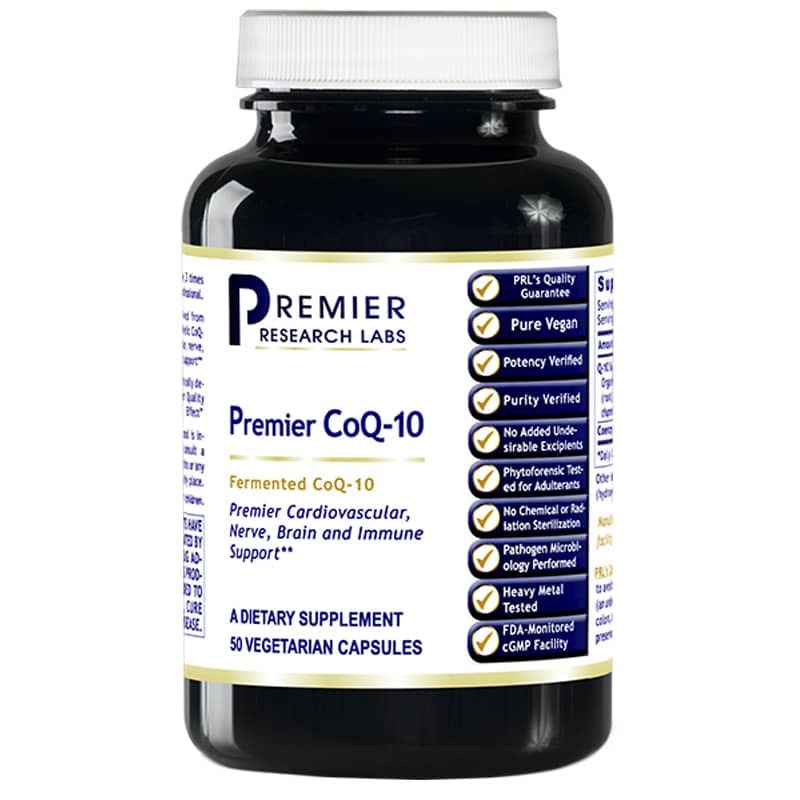 Premier CoQ-10 by Premier Research Labs is a live-source CoQ-10 that supports cardiovascular, nerve, brain and immune health. Contains NO added: stearates, artificial colors, artificial flavors or artificial preservatives. Vegan. Adults: Take 1 capsule, 3 times daily or as directed by your health professional. I love that there is 100 mg in each capsule and that the recommended dosage is 1 capsule three times a day or as recommended by your doctor. This is important to me because I like to start slow and build my way up. I've been taking for a month at just 1 capsule a day but have noticed a difference when I stand up quickly because I don't feel lightheaded the way I used to. And I absolutely LOVE that the product is free from magnesium stearate, corn, milk, soy, salt, sugar, wheat, yeast, and artificial additives! In my opinion, this is another winner from Premier Research Labs. Thank you Natural Healthy Concepts for providing such excellent products (and prices)! There are no harmful additives as far as I can see.... This is why I chose the product.